Herbert Blackburn is shown here with his form in 1924. A graduate of London University, he joined King James ’s in 1919 to teach English and Classics. He was resposible for the School Pageant of 1936, and also made his mark as the author, with Harry Gledhill, of the School Song which still resonates today at major School and Old Almondburians ’ Society functions. 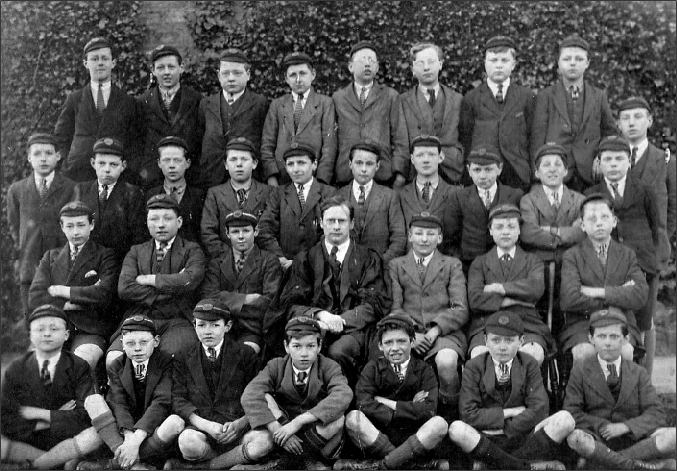 The photograph was kindly supplied by Terry Buckley, whose father appears on the back row, second from the left. Reg Napier, who taught Terry Buckley and and John Watson (of Temperance Seven fame) at Huddersfield School of Art (1953-1958) and subsequently became Head of the School of Art, is on the back row, fourth from the right. Assistance in identifying others in this photograph would be appreciated.